These declines were in spite of the Dow Jones industrial average increasing by 69% during the same period. Authors said this indicated a decoupling of US economic growth from coal. Co-author Luke Sussams said the coal industry had been pummelled by cheap shale gas and a series of Environmental Protection Agency (EPA) regulations. “It was something of a one-two punch. Gas took the legs out from the sector and the EPA really held it down,” he said. The US shale gas price fell 80% since 2008. Meanwhile, renewable energy has become increasingly competitive. From 2005 to 2013 the amount of US electricity generated by burning coal dropped by 10.5%. This was picked up by gas (8.7%) and renewables (4.1%). But Chiza Vitta, a credit analyst from Standard and Poor’s, said he did not believe coal was in a terminal decline, although its share of the US electricity market would diminish somewhat in the coming years. Vitta said the drop in share prices noted by Carbon Tracker was due to a complex series of factors, including a cyclical dip in metallurgical coal demand. He said despite the slowdown “coal will continue to be an integral part of the energy portfolio. It’s going to get a little smaller so the share price is going to fall. But there is always going to be a place for coal”. Carbon Tracker first introduced the idea of a ‘carbon bubble’, the overvaluation of the fossil fuel industry, in 2011. A key part of their argument was the idea that carbon intensive fuel sources would become less valuable because of increasingly stringent regulation from international and national bodies. This would leave many companies holding vast reserves of essentially worthless fossil fuels. A concept known as ‘stranded assets’. The coal industry has been subject to seven major EPA regulations since 2008. This includes 30% cuts by 2030 to carbon emissions from coal power plantsannounced by president Barack Obama last year. But mostly the measures target forms of pollution other than carbon. Sussams said the decline of US coal “proves the [stranded assets] concept doesn’t rely on international regulations”. 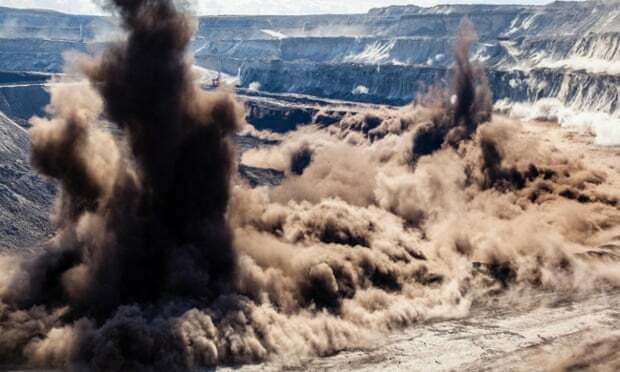 In order to avoid the increasingly hostile domestic market, Sussams said the industry had banked heavily on a future where US coal exports to China and India grew significantly. But this has been undercut by cheap supply from Indonesia, Australia and South Africa. Additionally, Chinese coal consumption fell 3% last year and India has said it may stop imports of coal within three years. Andrew Grant, report co-author said the report issued a warning that even without an international agreement on carbon emission, the most carbon intensive sectors of the economy were risky investments. “The roof has fallen in on US coal, and alarm bells should be ringing for investors in related sectors around the world. These first tremors are amongst the clearest signs yet of a seismic shift in energy markets, as high carbon fuels are set to be increasingly outperformed by lower carbon alternatives,” he said. This article was amended on 25 March 2015 to clarify the decline in the sector as structural rather than “terminal”.